Product #20786 | SKU DAD6034 | 0.0 (no ratings yet) Thanks for your rating! 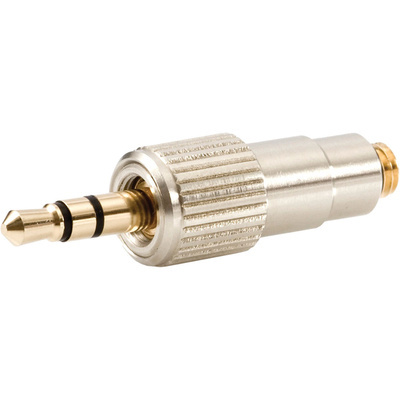 The DPA DAD6034 is a MicroDot to locking 1/8" (3.5mm) mini connector. The connector enables direct integration between DPA microphones and belt-pack transmitters featuring locking mini connections such as the Sennheiser Evolution series.